… all the materials listed above are optional, you could use any selection of collage materials to decorate your spoon. 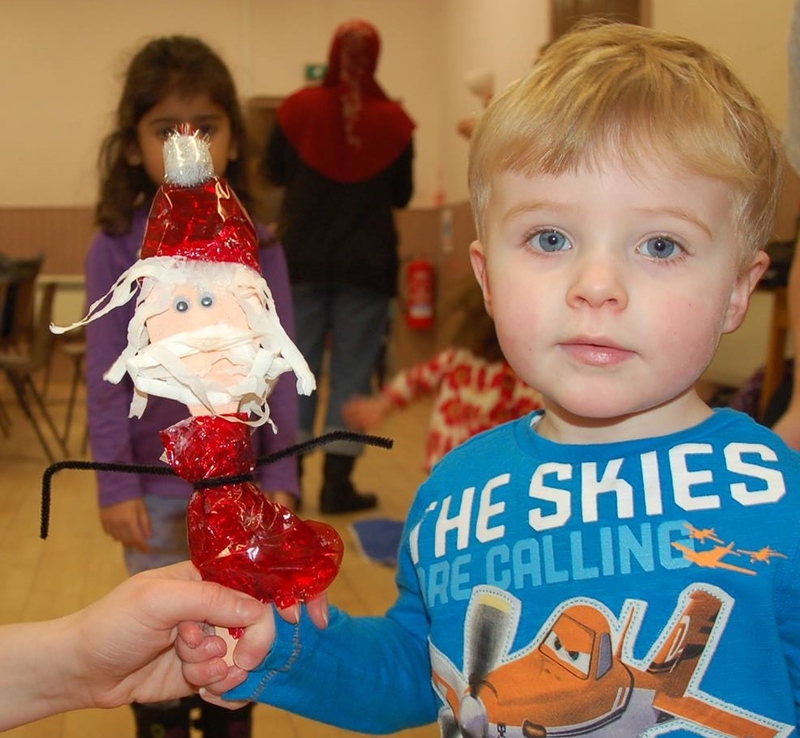 Give your Santa some arms by twisting a pipe cleaner around the handle of the spoon. Make sure to leave an equal length either side of the handle. You can then us these to attach his red clothes to. To make these you can use either tissue paper or crepe paper or even fabric. Add a belt by cutting a thin strip of black paper. 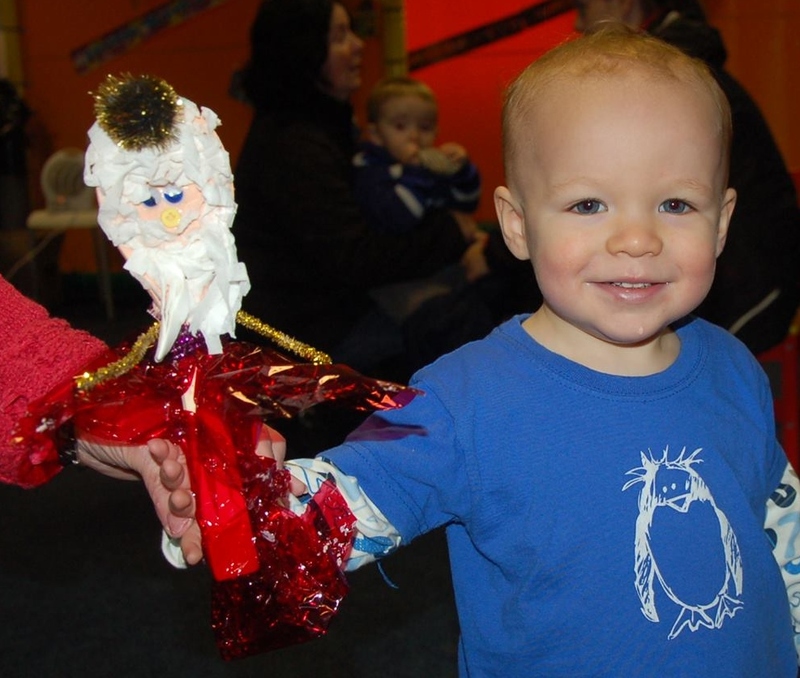 Build up his beard and hair using either cotton wool or tissue paper. Cut out a triangle of red paper to make his hat. Add a pom pom or some more cotton wool on top of his hat. Finally bring him to life by gluing on some wiggly eyes and adding a mouth. Your Santa spoon is now finished. You could stand him up in your window or outside your door to make sure Santa stops by to deliver your presents. Check out the spoons our Little Explorers have been making! You could even make a reindeer spoon. Have a go and be creative…. You can even make Angels and Elves! Thank you to The Creation Station Penistone for this fab activity. Become a follower of our blog for more exciting activity ideas to do at home. 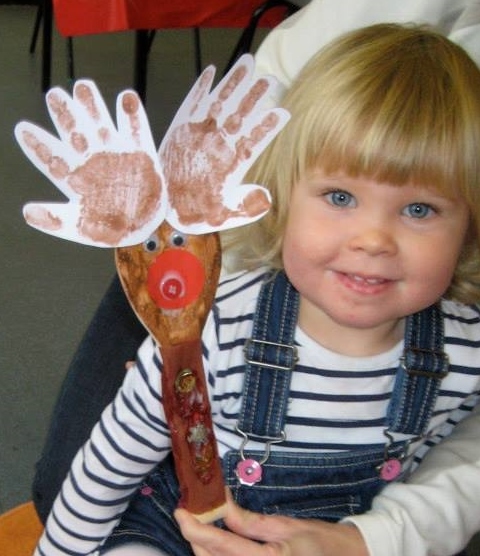 We would love to see your Christmas spoons, so please send photos of them to art@thecreationstation.co.uk or share with us on twitter with #creationstation.